Your jaw consists of two bones: the upper jaw known as maxilla and the lower jaw or mandible. Most of us have experienced jaw pain so this condition is not uncommon. 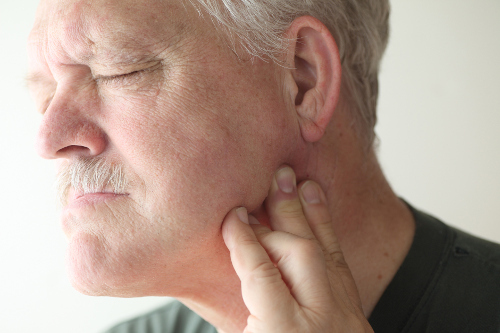 Lower jaw pain which can be chronic or acute is caused by many possible conditions. It does not always mean that it is caused by the problem in the bone itself, sometimes it can emanate from the teeth and gum, salivary glands, the jaw muscles, the temporomandibular joint (TMJ), and even from the heart. Visit your doctor to know the exact cause of the problem and to get the best pain-relieving treatments. One of the most severe causes of jaw pain is a broken jaw which occurs during assaults, motor vehicle accidents, falls, sporting injuries and other injuries to the face. The fracture’s nature may vary just like with other bones in the body. Men are three times more likely to have their lower jaw fractured compared to women. You will get a dislocated jaw when your lower jaw slips out of place at the temporomandibular jaw. This usually occurs when there is a significant impact to your face, though it can also be caused by chronic joint problems. You would need medical treatment to restore the joint to its normal position though sometimes it will slip back into its normal position without any treatment. One of the more common causes of jaw pain is tooth decay. This condition happens when the hard outer enamel layer of your tooth wears down, resulting to a formation of cavity where bacteria and food may become trapped. Though the pain can become intense overnight, tooth problems arise gradually in most cases. Another tooth-related cause of jaw pain is an impacted wisdom tooth. An impacted tooth is a tooth that gets blocked as it’s pushing through the gum into your mouth. Wisdom tooth, which usually begins to come in between ages of 17 and 21, are often impacted. Tooth or dental abscess occurs when there is a buildup of pus that forms inside your gums or teeth and is often caused by a bacterial infection. Heart attack occurs when there is a restriction in the blood flow to your heart, often caused by a clot in an artery. Your heart muscle gets damaged and can even die without oxygen. How to Relieve Lower Jaw Pain? Applying ice packs or moist heat – apply ice packs to your face for 10 minutes, then take it off for 10 minutes and apply it again. You can also get pain relief and relax your jaw muscles by applying a warm washcloth to your jaw area. Over-the-counter pain relievers – reduce the discomfort of pain in the lower jaw by taking medicines like acetaminophen or ibuprofen. Massage the affected joint – press the sore areas of your jaw using your index and middle finger. Rub in circular motion for 5 to 10 rotations, then open your mouth and repeat the process. Your doctor will initially suggest non-invasive treatment methods for your pain. You may be asked to wear a mouthguard during bedtime to stop you from grinding your teeth unconsciously when you sleep. Your doctor may also prescribe muscle relaxers for the pain. When these methods don’t work, more invasive treatment such as botox injections and even jaw surgery may be recommended. Botox keeps your jaw muscles from clenching which relieves pain caused by TMD, while jaw surgery is recommended for people with severe pain and pain caused by the structural problems in the jaw joint. Reduce your habit of jaw clenching by practicing stress-relieving techniques such as meditation and yoga. Avoid foods that are tough, chewy or crunchy as they strain your jaw joint, which leads to discomfort and pain later. By limiting your coffee and tea consumption, you’re reducing your jaw pain over time, however, you may initially experience muscle tension if you’re totally withdrawing caffeine from your diet. How Does Ice Help Injuries?